Provide comfort for the family of Elizabeth McGinnis with a meaningful gesture of sympathy. 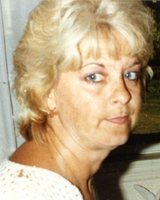 Elizabeth, 75, of Midway, died Monday, February 25, 2019, in her residence. She was born February 23, 1944, in Montgomery, Alabama, a daughter of the late Melvin and Julia (Sullivan) Parker and Wade and Ann Norton. Mrs. McGinnis was a member of Midway Methodist Church and was formerly employed as a bus driver with Monarch Bus Line for West Allegheny School District and was a waitress at the Oakdale Diner. She enjoyed bowling, camping and spending time with her grandchildren. Surviving are her husband of 29 years, William “Beezer” McGinnis; daughter, Patti (Chris) Reed of McDonald; grandchildren, Chris Reed, Anna Reed and Deanna McGinnis. She is also survived by her sisters and brother, Cindy Johns, Billy Norton and Ruth (Jeff) Swanson and several nieces and nephews. She was preceded in death by her first husband, Jim Pyle; a son, William F. McGinnis and a brother, Melvin Parker. Friends will be received Saturday, March 2, 2019, 10 a.m. – 12 noon, the time of service in The Thomas-Little Funeral Service, Inc., 106 St. John Street, Midway (724-796-3301). Interment will follow in Center Cemetery, Midway. To send flowers in memory of Elizabeth F. McGinnis (Parker), please visit our Heartfelt Sympathies Store. Provide comfort for the family of Elizabeth F. McGinnis (Parker) by sending flowers. Saddened to hear of the passing of this sweet lady. Rest easy Beth. I was saddened to hear the news of Beth's passing. Know that you are in my thoughts and prayers.